Fruit is healthy(ish). 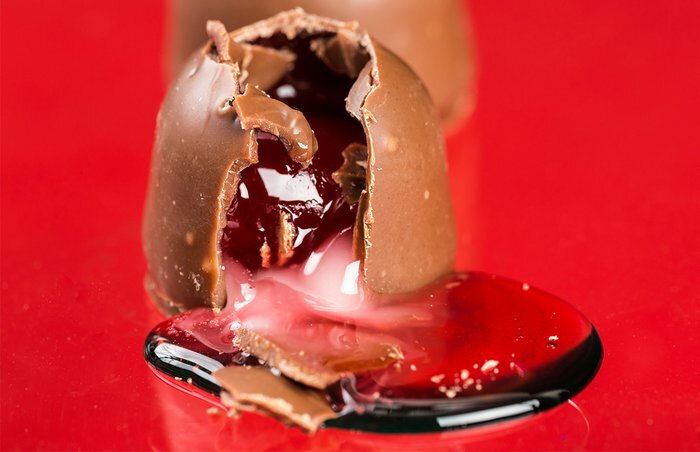 Don't try to ruin chocolate by injecting it with strawberry sauce, raspberry gunk or whatever the heck is in chocolate-covered cherries. 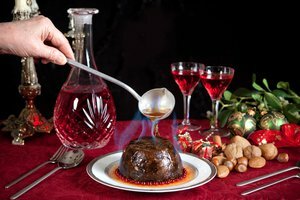 The end result is always a syrupy, sugary slop anyway. Chocolate and roses are the two most iconic, stereotypical Valentine's Day gifts. 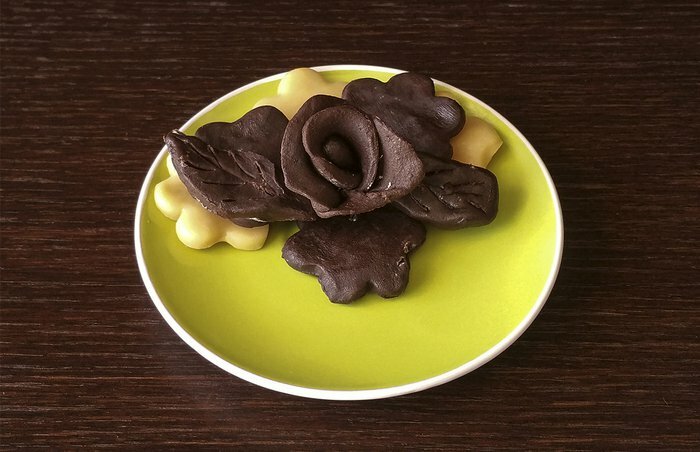 So why do these flower-shaped chocolates rank so low? Because these $1-a-pop chocolate roses are more like chalk roses and they're always gross. We'd rather get carnations. 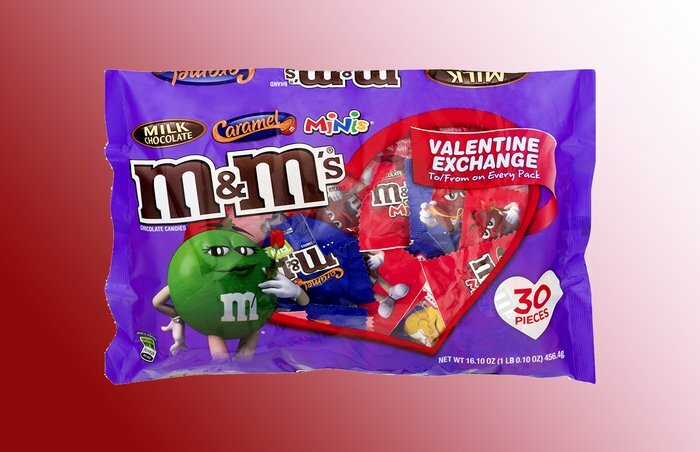 There are few candies more plentiful and classic as the candy-coated chocolate original: the M&M. We love M&M's, especially their seasonal flavors. But unless you're baking your babe some cookies, get a little more creative than this. Remember how we told you to be a little creative with your Valentine? 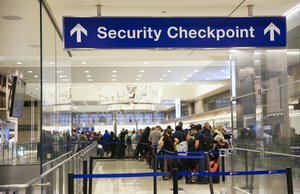 That also means you need some forward planning. Remember: Valentine's Day is always on February 14! 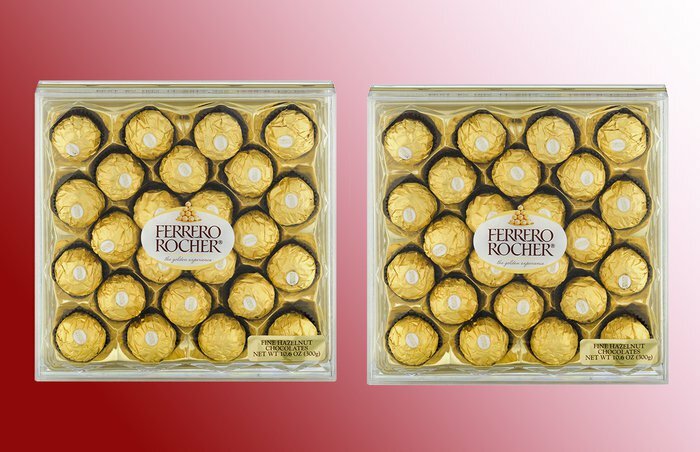 So, while we love these chocolate and hazelnut confections just as much as the next person, but there's something about a pack of Ferrero Rocher on Valentine's Day that says, "Hey babe. I forgot today was a holiday. 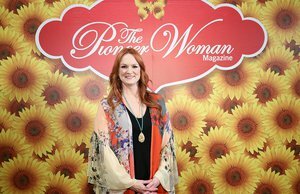 I picked up the most expensive candy at BP on the way over." That'd be a huge dating mistake. 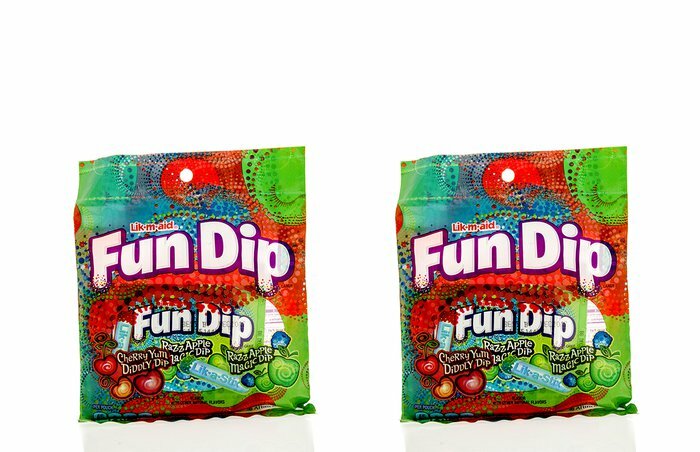 Fun Dip? More like "Oh wow, how sticky can my fingers get while I eat this candy?" 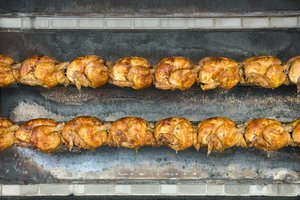 dip. While we do find the Lik-m-Aid sticks super delicious, the act of licking and dipping said stick is just a mess. Little pink and white balls of sugar join forces to create one Valentine's Day pack that just looks festive. These teeny sugar bombs are the perfect compact snack to pack up for your kids' Valentine's Day party. 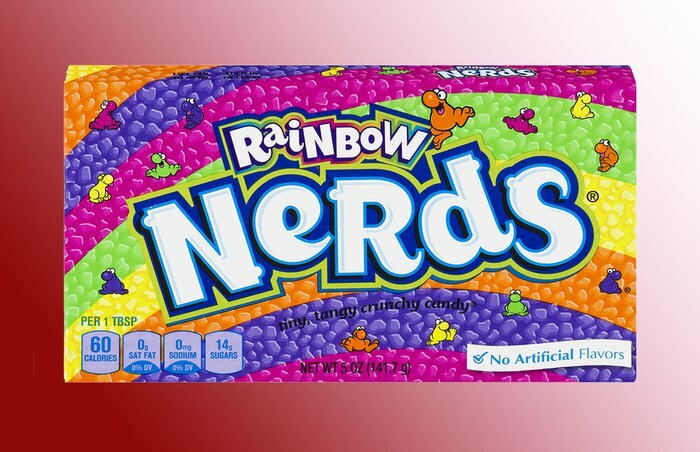 The only downsides are that they can easily escape the box and your hand (which makes a bit of a mess) and that basically all Nerds taste the same. 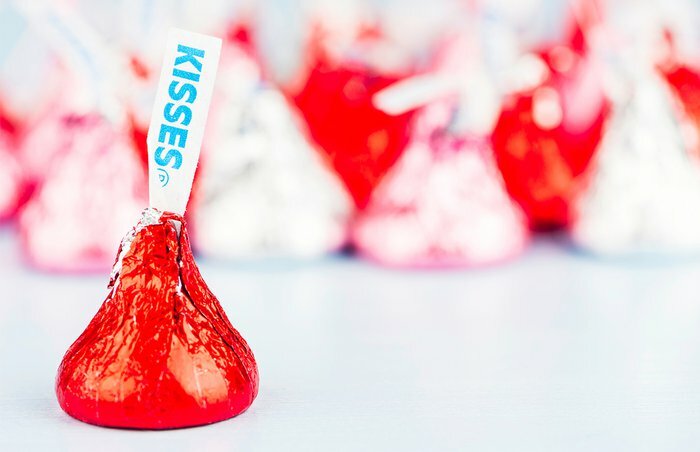 Hershey's Kisses may be named after the sound they make on the assembly line, but the idea of the Kiss is just too perfect for Valentine's Day, making this treat perfectly appropriate. This classic milk chocolate treat even has fun and festive holiday wrappers! Yay! 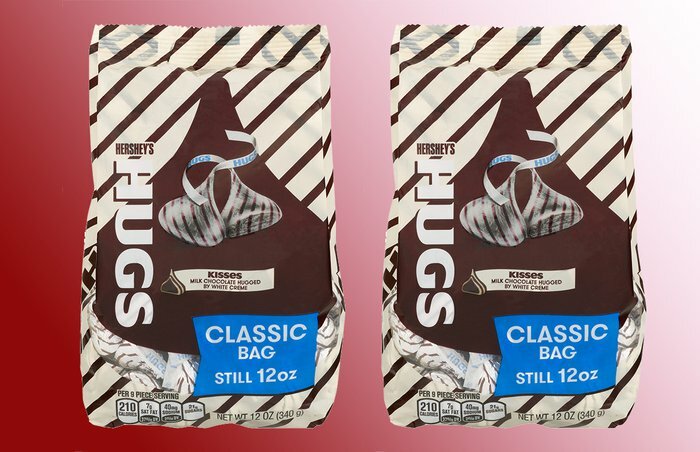 We love all sorts of flavored Hershey's Kisses, from caramel to almond to lava cake, but our absolute favorite is the classic Hershey's Hug, a white chocolate and milk chocolate confection that we can only seem to find this time of the year. So inviting, just like an actual hug. 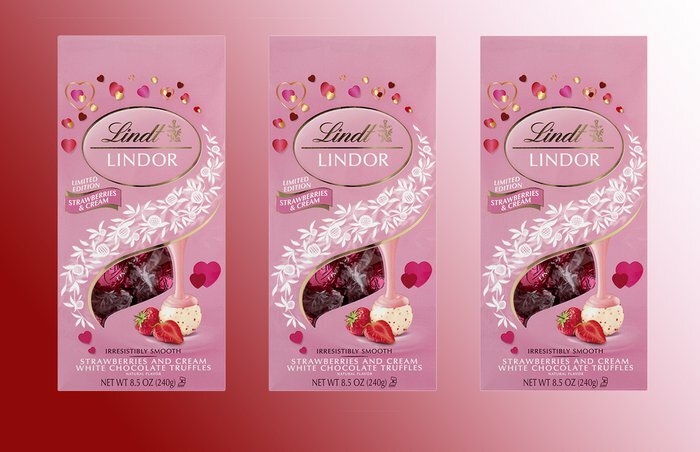 Though a little bit pricier than some of the other options on this list, Lindt's Lindor truffles are wonderfully decadent. 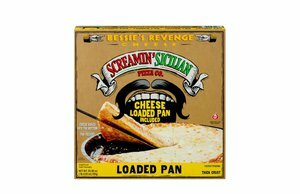 They're rich, silky, and creamy, with every bite offering a new experience in texture. The best part? These truffles are made in every flavor from caramel to strawberries and cream to citrus; why not try one of each? 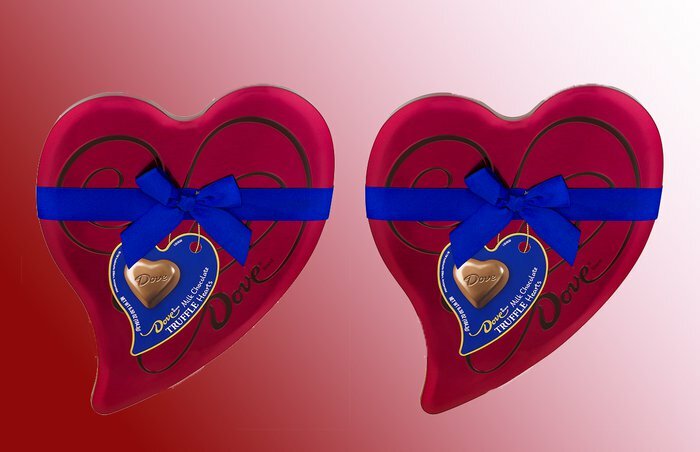 Dove's line of chocolates is known for being two things: budget-friendly and totally scrumptious. These classic squares have some of the best dang caramel filling we've ever tasted. And their precious pink wrappers make them perfect for Valentine's Day. 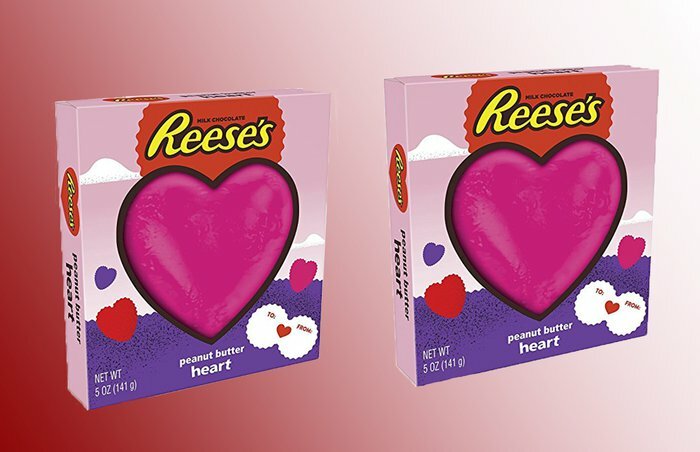 We love Reese's in all shapes and sizes, so who are we to say no to the classic heart-shaped Reese's? Is it the same as their bunny ears? Yes! But is it totally delicious and filled to the very brim with that iconic peanut butter filling? Oh, yes. Think back to the joys of a classroom Valentine's Day party, when your colored paper- and glitter-decorated shoebox was filled to the brim with Valentines featuring Care Bears and Snoopy. The absolute best Valentines (other than the ones given to you by your crush) were the ones with candy attached. 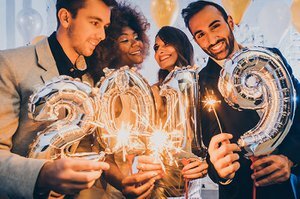 As adults, candy is a central part of February 14. 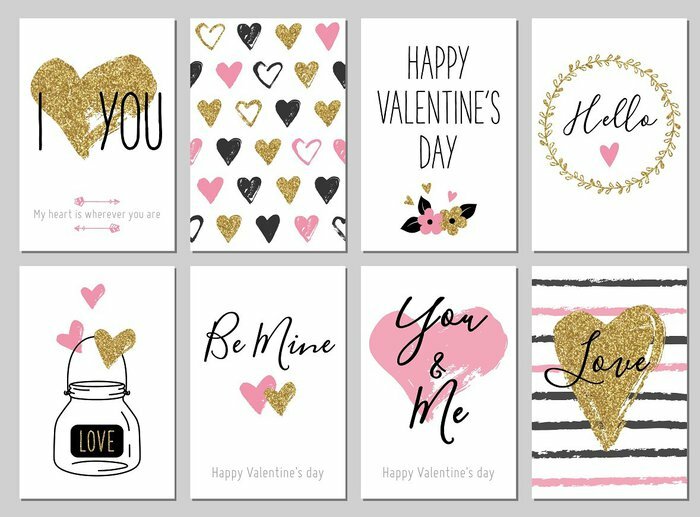 Paper Valentines, however, are not, thus making this novelty a true treat. Even a crummy candy tastes better if it's half off. Chalky chocolate that's only 99 cents for a 5-pound bag? "Strawberry" heart-shaped lollipops that cut the roof of your mouth? We'll take two of each, please! Though every other candy on this list is available (in one form or another) year round, there's one candy that is available only for Valentine's Day: the conversation heart. 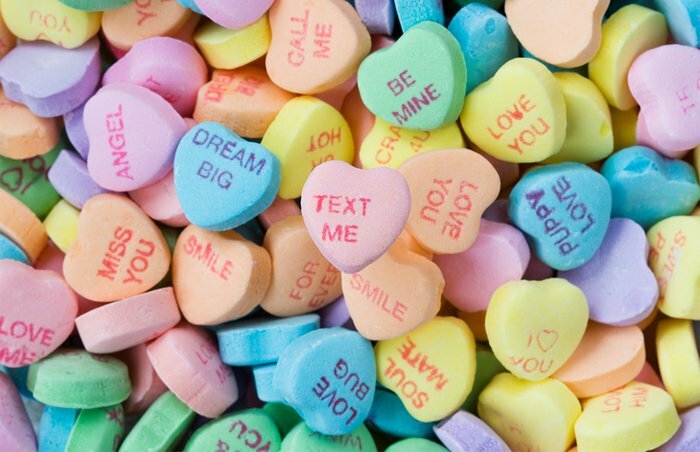 These chalky, cheeky, heart-shaped candies ask you to be a "soul mate" have the "best day" or just do "whatever." While the OG Necco conversation hearts are sitting 2019 out, no Valentine's Day would be complete without them (and plenty of other brands make very similar candies). Even if you don't love the taste, you love the message. 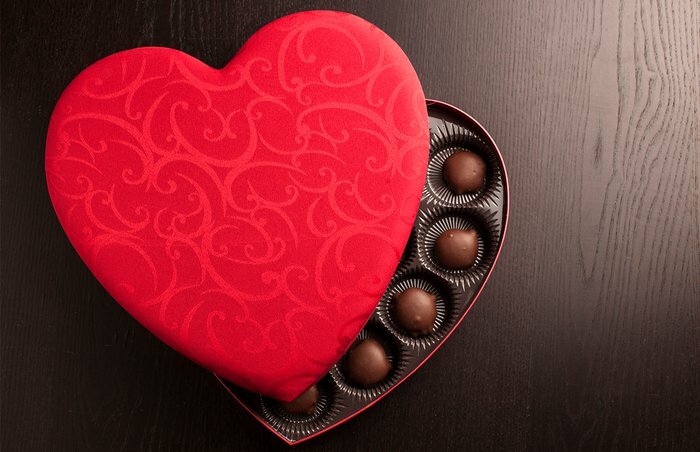 We love caramel, hate fruit fillings, and are pretty divided on nougat, but there's one thing we can all agree on: Heart-shaped boxes of chocolate frickin' rule. Like the best love stories, there's an element of mystery in these boxes of chocolates, which can be found at any price point and at most retailers. 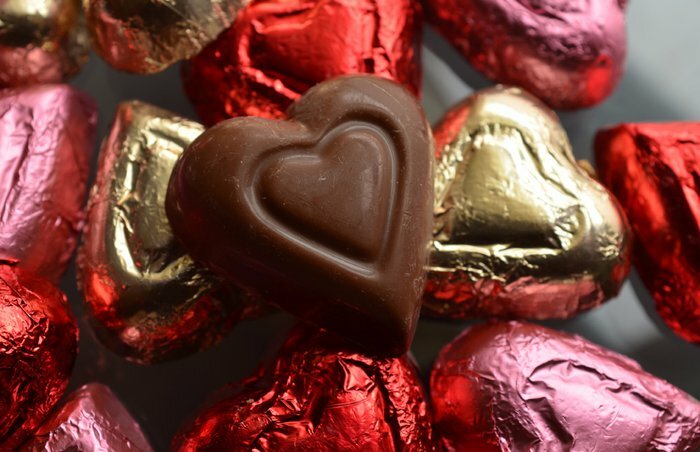 But if you really want to swoon this Valentine's Day, you'll buy your heart-shaped chocolates at the best chocolate shop in your state.